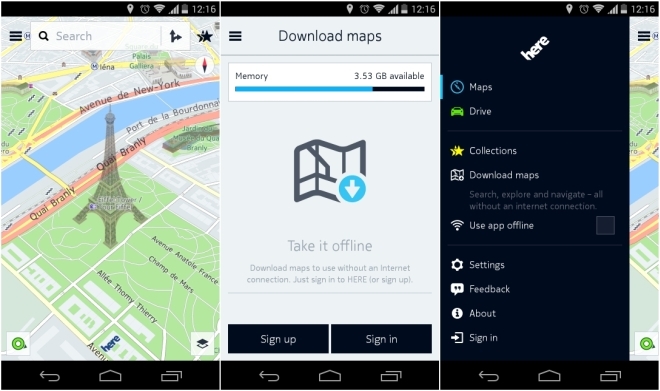 Nokia had previously announced its plans to release a version of HERE Maps for Android, but only for Samsung devices for now. Although the app is yet to officially release, somebody managed to get their hands on the APK and unsurprisingly, it works on any Android device running 4.0 and above. Nokia HERE Maps is a fully featured navigation utility, and has all the features, including turn by turn voice navigation. It also has something unique, where you can download maps for entire cities, which can then be used offline or in areas with no network. The APK is still in beta so might have some bugs but if it’s worth a try.